The relevant facts in the current analysis relate to the case of a German Cyclist, Claudia Pechstein. The case received a lot of attention at the global level because of the media coverage on her seven-year-long battle against a two-year suspension imposed on her for a disputed doping rules violation has brought her into the limelight even more than her sporting laurels and achievements. At the 2009 World Speed Skating Championships, Pechstein was tested positive for doping violations and consequently barred from all International Skating Union (hereinafter ISU) competitions for two years. 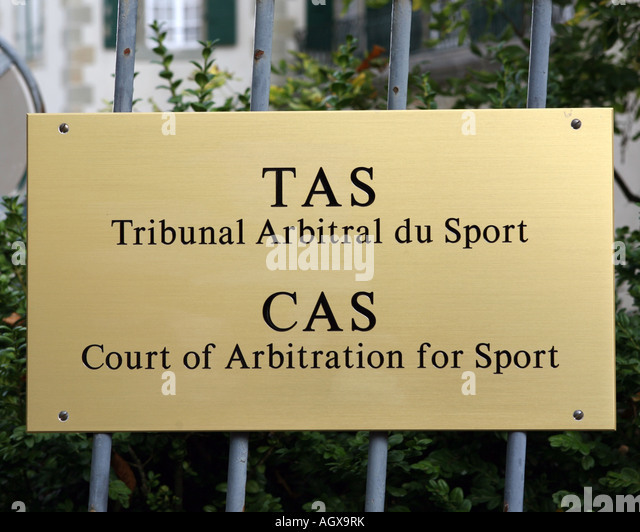 She challenged the ban before a tribunal of the Court of Arbitration for Sports (hereinafter referred to as CAS) relying on an arbitration clause in the registration form of the World Championships but lost the case (CAS OG 10/04). Pechstein contested that award twice in front of the Swiss Federal Court  but without success. Then she lodged a complaint which is now pending before the European Court of Human Rights against the decisions of the Federal Court and also took the matter to the Landesgericht Munich (Regional Court at Munich) and claimed damages from the ISU. The Landesgericht rejected Pechstein’s claims based on the res judicata principle with respect to the CAS award. The Oberlandesgericht (High Court of Germany, hereinafter referred to as OLG) overturned that decision and allowed Pechstein’s claim for damages in an interim decision. The Court considered the arbitration agreement between Pechstein and the ISU to be contrary to mandatory German (and maybe European) competition law and therefore a violation of the public order. Then she appealed to the German Federal Tribunal (Bundesgerichtshof – BGH). The BGH dismissed Pechstein’s case. The Regional Court in Germany (Landgericht), in February 2014, upheld the CAS decision stating that the issues were res judicata because Pechstein had not challenged the jurisdiction of CAS before. In addition, the court also explicitly stated that the arbitration agreement which was signed by Pechstein was void because the ISU had a monopolistic structure thereby not giving the athletes any choice of signing the agreement. On the contrary, it was a compulsion for them to sign such an agreement if they wanted to compete in the games, i.e. to exercise their right to practice their profession. The court first dealt with the validity of the arbitration agreement. It held that it was invalid since it was in violation of non-dispositive competition law provisions under the German Act Against Restraints of Competition quite clearly, defendant ISU had a monopoly. According to the justification given by the court, requesting an athlete to sign an arbitration agreement does, not by itself constitute an abuse of market power. But an analysis of the arbitration agreement in the present case did convince the court that in the given circumstances, the ISU did abuse its market power. The court held that particularly with respect to the selection of arbitrators, the arbitration agreement contained a structural imbalance. The court found that the national skating associations were given preference in the arbitrator selection process. In addition, the President of the Appeals Arbitration Division of the CAS serves as the appointing authority in case the parties cannot agree on arbitrators. The entire process lacks safeguards that would prevent manipulation in the arbitrator selection process. German courts were not considered to be bound by the findings of the CAS, as the arbitral award violated was considered to be against the German public policy within the meaning of Sec. 1061 German Code of Civil Procedure (ZPO) in conjunction with Article 5 of the New York Convention. Fundamental provisions of competition law are an integral part of Germany’s public policy. OLG, therefore, gave the decision owing to which the award was not enforceable in Germany. As a result of this decision, an appeal was preferred by ISU to the Federal Supreme Court. Therefore the legal issues pertaining to lack of independence of the arbitrators and the forced arbitration agreement going against the anti-trust policies of Germany which could have impacted the enforcement of awards across Europe is the main reason due to which an appeal was preferred and all the legal concerns affirmed by The Court Of Appeals were negated thereby in Federal Supreme Court. The arguments pertaining to the same have been elaborated upon in the discussion. The four arguments which were put forth by the Federal Supreme Court in overturning the reasoning of the decision of the Federal Court of Appeals is as follows. The first line of reasoning was that that the CAS is not structurally imbalanced in favour of the SGBs, because of the selection process of CAS arbitrators included in the CAS list. This is because the interests of the athletes and of the SGBs consist of a shared objective of fighting against all the matters pertaining to the resolution of sporting disputes. The Federal Supreme Court, thereafter, argues that the CAS is necessary to ensure the uniformity and swiftness of sporting justice and this is in furtherance of the interest of the athletes. The need for uniformity and swiftness is the reason for a single institution requiring to have a mandatory jurisdiction. The third argument of the Federal Supreme Court was with respect to the justification of CAS Code safeguarding the independence/impartiality of CAS arbitrators. There are procedural safety mechanisms included in the CAS code which would remedy the imbalance of CAS in favour of the SGBs. Section 18 of the CAS Code provides for the requirement of the arbitrators to sign “an official declaration undertaking concerning the exercise of their functions in personal capacity with total objectivity, independence and impartiality, and in conformity with the provisions of this Code” and reference was also made to article R.33 of the CAS Code stating that “Every arbitrator shall be and remain impartial and independent of the parties and shall immediately disclose any circumstances which may affect her/his independence with respect to any of the parties.” Based on article R.34 of the CAS Code, any challenge of an arbitrator on the basis of the latter provision must be submitted to the ICAS Board. Furthermore, the Federal Supreme Court also argues that both parties can chose an arbitrator and that both arbitrators will then designate the President of the panel. The last line of reasoning given by the Federal Supreme Court explained that the losing party has the possibility to appeal to the SFT (Swiss Federal Tribuna), which can annul the award. The common element between the reasoning of Federal Court of Appeals and Federal Supreme Court is that both of them recognise that CAS is a necessary institution to provide a level legal playing field with respect to doping matters as well transfers which could lead to inimical transnational disputes. Additionally, CAS hearings are advantageous for the athletes, they are usually considered as cheaper as well as faster than state justice redressal mechanisms. Both the Federal Court of Appeals and Federal Supreme Court decision acknowledge this. In short, what the German Court is asking for is an institutional reform of CAS. The ruling of the Federal Supreme Court case should not stop CAS from initiating certain much-needed institutional reforms. In the Gundel case although asserting the independence of the tribunal in the concerned, the obiter by the Swiss Federal Tribunal regarding the crucial need of the separability of IOC from CAS led to what is known as the Paris agreement, an in-depth structural reform of CAS. Mainly, the ICAS was created to separate the management of CAS from the IOC. Before this CAS was under the ambit of IOC, raising serious concerns with respect to its independence and impartiality. In addition, the reasoning provided by the Federal Supreme Court is flawed that the ICAS has always been, a body constituted of 20 members nominated overwhelmingly by the SGBs, which decides who gets to be on the CAS list. Hence, it is reasonable assumption that the selection process of arbitrators is such that CAS is in a way captured by the SGBs and prone to favour their interests. In addition, any challenge of an arbitrator submitted to the ICAS Board is futile because it is composed of six members, five of which are or have been in the past involved in executive positions in SGBs. In this scenario, it is obvious that challenging the independence of an arbitrator vis-à-vis the SGBs is extremely unattractive for an athlete, more so when because in case of failure there is a risk of alienating the arbitrator in question. Therefore CAS’s independence issue is systemic and cannot be solved without re-designing the selection process and composition of the ICAS. Finally, although there is a possibility to appeal to the Swiss Federal Tribunal because the seat of Arbitration in Switzerland, SFT generally does not annul the CAS award. This is because SFT is a mere paper tiger. It considers the CAS as a necessary evil that it has to carefully check. Thus it is hardly a credible avenue to ensure that its decisions abide by the democratic standards which a prerequisite is considering its mandatory global jurisdictions. The time has come for the CAS’s institutional structure to better reflect the diversity of actors affected by its decisions. The following are some of the recommendations in the author’s opinion which would be suitable considering the issues of the Pechstein case. Presently three-fifths of its current members are selected by the Sport governing bodies, which in turn, select the remaining two-fifths of the members. Thus, a majority of ICAS members have had a career inside national and international SGBs, and several among them have acted as legal advisors to the SGBs. A change in the selection procedure of ICAS members would be a big step in the right direction. The athlete should be empowered to appoint half of the first eight members of ICAS. This would automatically ensure the independence and impartiality of the additional twelve (neutral) ICAS members picked by them, and who would still have the upper hand on the two partisan factions inside ICAS. This should be supplemented with strict individual requirements of independence for all ICAS members. The Appeals Division is at the centre of the work of CAS. As given in article R54 of the CAS Code, the President of the Appeals Division decides the future President of a specific appeal panel and thus, can tilt the balance in one direction or another. The position of head of the CAS Appeals Division is extremely important and cannot be occupied by anybody closely connected to the SGBs. The CAS rules must ensure that the person selected to occupy this position is universally perceived as independent and impartial. The CAS needs to come up with a mechanism regarding the independence of individual CAS arbitrators included on the CAS list. In particular, the phenomenon of so-called repeat arbitrators, i.e. arbitrators who are nominated several times by the same party poses a real danger. Moreover, a party frequently involved in disputes before the CAS tribunal has an advantage because it knows which arbitrator is more susceptible to favour its cause. This bias can be remedied by limiting the number of times an arbitrator can be selected by a specific party. Besides, to put the parties on a level playing field, the CAS need to publish detailed information on arbitrators’ past nominations. More importantly, the ICAS should exercise stricter control of the independence of individual arbitrators whenever they are challenged. There is a lack of transparency as far as the arbitrators are concerned. There should be complete transparency with respect to the profile and record of each CAS arbitrator. Similarly, the CAS lacks mandatory disclosure rules regarding the arbitrators’ biographical details. Each arbitrator should disclose, in the information included on the CAS website, their past and contractual relationships, or other significant personal or financial ties with SGBs and any other relevant stakeholders in sports. There should be a systematic publication of CAS awards. The CAS publishes only limited samples of all the awards rendered by the Appeals Division. A transparent access to all appeal awards is a crucial question of procedural justice, and a landmark development in order to subject the CAS and its judicial work to the critical scrutiny of the global public sphere. There needs to be provision for a precise disclosure of the financial records of the CAS along with precise content of the discussions happening inside the ICAS. It is indispensable that CAS adopt transparent administrative practices. ii. a procedure granting legal aid to athletes in financial hardship. Athletes can be coerced to waive their access to the national courts only if the CAS is able to provide sufficient financial resources for them to dispose of a fair chance to present their case. This requires that the SGBs which provide for CAS arbitration in their regulations accept to take on a larger share of the costs of CAS proceedings, for instance by paying a levy corresponding to a specific share of their revenues. Thus as CAS is a global administrative and constitutional court for sport, it is necessary that it is reformed to match the level of independence, transparency and accessibility needed to ensure its legitimizing function. Now is the time for all the stakeholders (CAS, SGBs, athletes, public authorities) to come together and shape a comprehensive reform of CAS that will yield the way for greater independence, transparency and broader access to justice. Damian Sturzaker and Kate Godhard, ‘The Olympic Legal Legacy’ (2001) 2 Melbourne Journal of International Law 241, 242. Matthieu Reeb, ‘Court of Arbitration for Sport: History and Operation’ (2010) 2 Digest of CAS Awards xxiii, xxix. In December 1999, the Denver office was shifted to New York. Michael Beloff and others “Remedies: The Resolution of Legal Disputes in Sport” in Sports Law (2nd ed, Hart Publishing, Oxford, 2012) 257. The Swiss International Arbitration Law Reports: 2007–2009, Vols 1–3, Consolidated (JurisNet, New York, 2012). Ben Van Rompuy, “ Pechstein ruling of the Oberlandesgericht München – Time for a new reform of CAS?” Asser International Sports Law Blog 2016. Code of Sports Related Arbitration Code, Article 34. Antoine Duval, “The rules of the game: Three pillars for a reform of the Court of Arbitration for Sport: Independence, Transparency and Access to Justice”, Asser International Sports Law Blog, 2016.
 . Rigozzi & F. Robert-Tissot, ‘”Consent” in Sports Arbitration: Its Multiple Aspects’, E. Geisinger & E. Trabaldo de Mestral (eds), Sports Arbitration: A Coach for other players?, ASA Special Series No. 41, pp.